Like the conversational heart candies we all know and love, these little cakes are sure to inspire warm feelings. 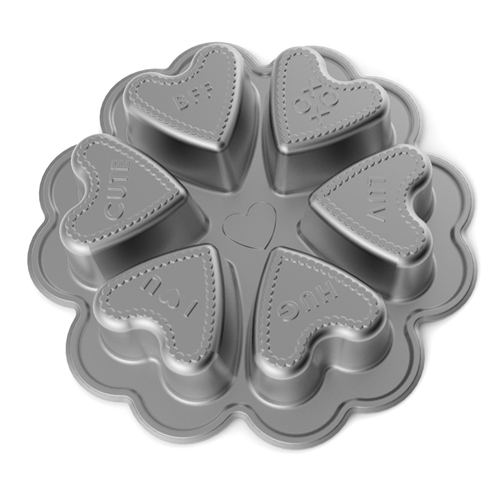 Our exclusive heavy cast aluminum Bundt Bakeware provides superior baking performance. Baked goods rise evenly, cook uniformly and are finely detailed thanks to the excellent conduction of the heavy walls.